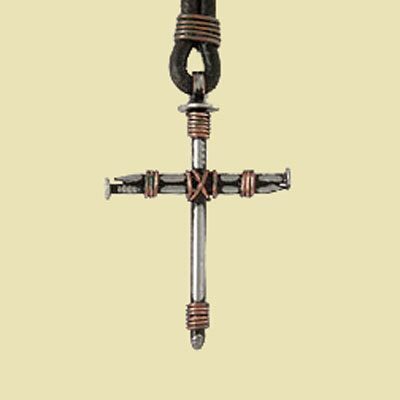 This is a very simple 1.5" cross that has been fashioned of wrapped nails on 30" black leather cord. 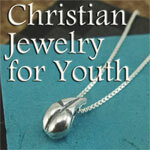 It is more than a fashion accessory, it's a compelling witness to the death & resurrection of Christ. This cross comes nicely gift boxed.